A leading rabbi in Israel’s Bukharan community has died in a car crash. He is survived by wife, 11 children, grandchildren. 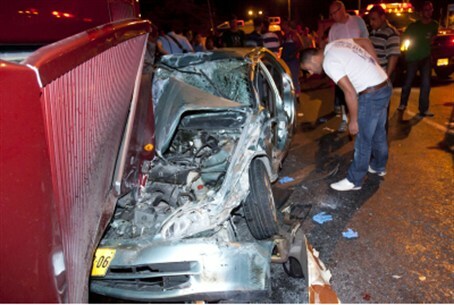 Rabbi Yehuda Haimov of Sderot has died of injuries sustained in a car crash on Thursday night. Rabbi Heimov was critically injured in the crash, which occurred at a junction a short distance from Sderot. He was a leader of the Bukharan Jewish community and served as a community rabbi in Sderot. Rabbi Haimov, 49, is survived by his wife, 11 children, and several grandchildren. He was laid to rest Friday morning in the Sderot cemetery. An initial investigation of the crash found that Rabbi Haimov’s car swerved for reasons that are still not clear. The car then flipped over and crashed into a pole.